Anyone can get lupus, but it develops most commonly in woman between the ages of 15-45. Lupus can be difficult to diagnose because it mimics many other diseases. Often, symptoms develop so slowly that no pattern emerges, or they come and go. Lupus never affects two people in the same way. Early detection and treatment can usually lessen the progression and severity of this potentially debilitating disease. 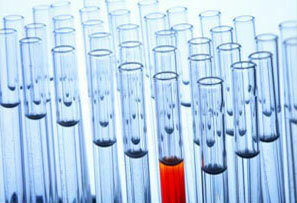 No single test can determine if a person has lupus. Some of the ways doctors diagnose lupus include a complete medical history, physical examination and laboratory tests. Systemic lupus erythematosus (SLE) is the form of lupus most often referred to as lupus. The word systemic means the disease can affect many parts or systems of the body. A person with SLE may have mild or serious symptoms and usually affects a person between the ages of 15-45. Discoid lupus erythematosus only affects the skin. A red, raised rash may appear on the face, scalp or elsewhere. The raised areas may become thick and scaly. The rash may last for days or years and may recur. A small percentage of people with discoid lupus later develop SLE. Drug-induced lupus refers to a form of lupus caused by the use of certain medications. The symptoms go away when the drug is stopped.